Are you looking for an easy way to find and use Smashwords conversion services? Then, with the help of EBOOKIFI, you are in the perfect place. Our team of experts can help you prepare and create the perfect environment to take your current written content and make it easily useable in this environment. Can You Handle Complex Layouts? Ebookifi offers Smashwords formatting services that ensure your books come out in great shape. Whether you are submitting it to the infamous Meatgrinder, known for churning out completely battered books, or you are taking advantage of Smashwords Direct portal, we ensure your book is neat and professionally ordered and organized by the time it gets into the hands of your readers. Smashwords has gone some way to ensure that eBook conversion is free and seamless. Its automated conversion technology, Meatgrinder, is designed to generate multi-eBook formats out of any .doc files which you upload, ensuring that the cost of self-publishing is kept at its barest minimum. Unfortunately, if you have tried using this system, you must have realized the many troubles associated with it. Smashwords’ infamous Meatgrinder accepts only doc type (.doc) manuscripts which is then processed into other book formats, including ePub, HTML, PDF, and mobi. But your doc formatting has to meet some very specific criteria if it is to come out from the Meatgrinder without looking ground and battered. Smashwords has provided a ‘Style Guide’ to ensure the results are perfect, yet getting your book to maintain its original flow in eReader devices – especially when tables and graphs are present, can be very frustrating. Smashwords has since developed an alternate system for your eBook upload: Smashwords Direct. Instead of uploading your Word (.doc) file into the Meatgrinder system with its erratic results, you can take advantage of Smashwords Direct to directly upload your ePub file to Smashwords. 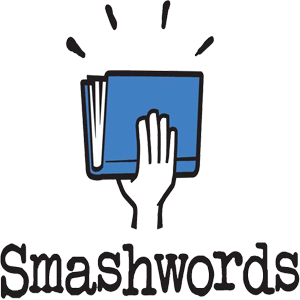 Smashwords Direct allows you to ensure that your book is delivered to your audience in just the same format and flow it was designed. To take advantage of this portal, though, you will have to first convert your book into the ePub format (the only format accepted by the “Direct” portal). Besides taking away the rigors of the Meatgrinder system, it also allows you incorporate sophisticated formatting beyond anything that MS Word or Meatgrinder could provide. However, you will require the services of a truly professional eBook conversion service to ensure that the generated ePub quality matches the requirements of the different retailers under Smashwords portal. The provided ePub file must contain “reflowable” text, with all the bells and whistles that customers have come to expect from professional ePub files on their various e-readers. The decision on which of the two Smashwords upload portals you’d prefer to use remains with you. Whichever you choose, the goal should be getting professional eBooks into the hands of readers. Ebookifi Smashwords formatting services are designed for just that. Meatgrinder: For those who still value the Meatgrinder’s ability to churn out multi-format eBooks you can benefit from this system by uploading .doc files that strictly follow the provided style guide. We help you get your book approved and distributed on the first try by formatting your book’s interior layout so it fits. This includes books with only texts, as well as those with images, charts, bullet points, and/or lists. Our professional formatting services covers everything from the copyright info to the chapters, acknowledgement, About, and other pages. Smashwords Direct: If you would rather use the ‘Direct’ portal to upload your own professionally designed ePub file, we’ve also got you covered. Using this option, we provide you with professionally designed and formatted ePub files that will be accepted across a variety of retail platforms when uploaded through the Smashwords Direct portal. Our hand-coded HTML files for your book will be provided in accordance to the Smashwords Direct upload instruction, with a 100% EpubCheck compliance pass, so that they are accepted at the first time of asking. To get your book converted and formatted for upload through our Smashwords formatting services at Ebookifi, we require that you complete your writing and editing, and provide us with only the final manuscript. You do not have to bother about consistent formatting or any style guides. You take care of the content, we take care of the presentation. Offer an easy to use service that takes your content and optimizes it for usage. Then, once we have prepared the conversion, it’ll be perfect for use with Smashwords, which uploads it to vital eBook retailers. This meets the full requirements for Smashwords own Premium Catalogue. This means you would be eligible for links to Kobo, Apple Barnes and Noble, iTunes, Kindle, Diesel and more will be utilized to make sure you have the widest range of appeal possible. The particular formatting school of Smashwords that the above all count upon is followed closely by our design team, too. Remove the pain and the time consuming process of optimizing content for Smashwords yourself. By using our service then you guarantee that your book will be accepted, first time, without any errors or concerns about safe usage. Help you avoid the irritating “meat grinder” of Smashwords that can be so time consuming and difficult to adhere to. We make sure you don’t have to keep returning to using annoying and frustrating formatting changes to try and comply with very particular rules. Yes, we certainly can. Our experts are hugely experienced in this kind of work, and we can make sure that your left with a service that captures everything you need. From verbose pieces of text to illustrations alone, we can handle it and make sure it’s edited digitally in the most effective manner possible. Does this sound like the kind of help that you need with Smashwords conversions? Then try out our professional formatting system today for a system that ensures you’ll succeed when trying to upload to Smashwords. The end result is an easy to work with ePub file that is carefully and precisely validated. This will make it easy for you to provide Smashwords with a file that is guaranteed to be accepted each and every time. What can usually be a trying and upsetting process can be much simpler with our help. So, remove the typical constraints you would have faced and instead make sure that you are ready to upload to Smashwords without any problems using our professional conversion services. Developing the eBook content is just one step on your journey to becoming a self-published author. Give your eBook all the attention it deserves as you turn your rough manuscript into a mega best seller by choosing Ebookifi for your Smashwords formatting needs today!